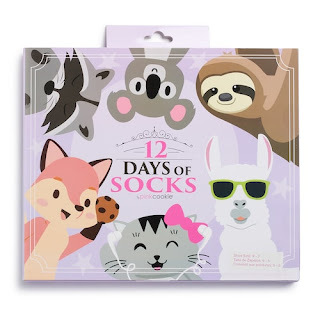 Kohls has Girls 4-16 Pink Cookie 12 Days of Socks Advent Calendars on sale for just $18.20 (regularly $26). 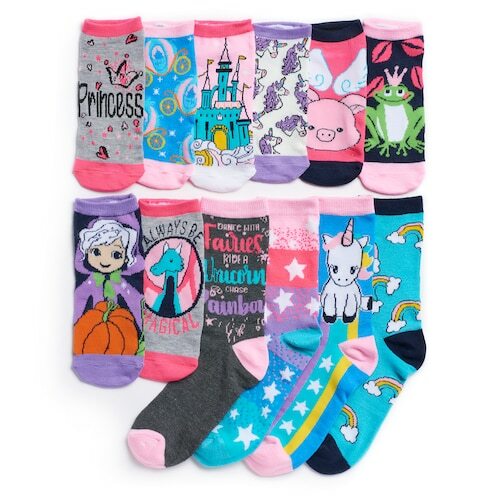 Choose from unicorn, critter and food themes. Use coupon code THANSKVETS for an additional 15% off bringing the price down to just $15.47. If you are a Kohls card holder you can save 30% by using coupon code APPLE30 bringing the price down to just $12.74. Plus use code MVCFREENOV for free shipping. Make her lead-up to the holiday season even more fun with this girls' Pink Cookie 12 Days of Socks Advent calendar. Includes 8 low-cut pairs and 4 crew cut pairs.